This is my fourth (and last) year of coaching the Jackson Community College cross country team. Two years ago, just after the season ended, we took a car full of runners to the NJCAA half marathon championship and decided that in 2008 we should take them (who ever wanted to go) to a marathon. 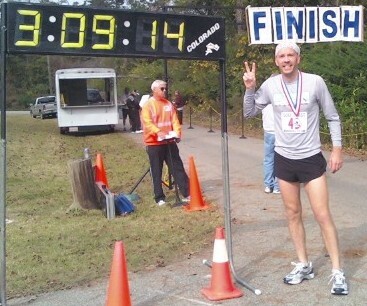 So in Dec 2008, we road tripped to Huntsville, AL for the Rocket City Marathon, with everyone doing well, except me. Soon afterward we decided that for 2009 we needed a different state, so we picked North Carolina, mostly because neither Head Coach Brian Olsen nor I had run in North Carolina yet. This year we took 4 runners, 2 men and 2 women, none of which had ever raced a marathon before. We left Jackson on Thursday afternoon through light snow and headed south for 8 hours staying the night in Beckley, WV for the night. We stopped on the way at a hole in the wall pizza/bar for dinner. It was a hick bar for sure. The main source of light in the dining area was an Old Milwaukee neon beer sign and one 100 watt bare light bulb over the ‘dance’ floor. It was a hoot. Damn good pizza, and dirt cheap. Since we only had only a short drive on day 2, we slept in on Friday morning and did not leave the hotel until 10am, arriving in Charlotte a little after 1pm. Went to Subway for lunch, checked into the hotel and headed over to the expo. I almost never buy anything at race expo’s anymore but this time was different. In looking at the forecast day before the race I thought there was no chance it would be warm enough to wear shorts, so I did not bring any. Upon further consideration and the fact I want to run fast and it wasn’t THAT cold, I broke down and bought a pair of shorts on sale at the expo. They also had a pair of my running shoes on sales, $40 off the normal price and I snatched those up too. I should also point out that they were selling race shorts that said ‘Flat courses are for sissies’. Turns out, this really was a tough hilly course. I was in bed by 8:30, waking up at 5:15, same ole’ same ole’. Race start was a brisk 28 degrees, so those shorts were a little cold. In fact, I lost feeling in my toes on and off for about the first 6 miles. There was little wind, so the temp was not horrible. Mile 1 in 6 falt, mile 2 in 12:15. Yikes, that was fast. I maintained a 6:20 pace (which was hard with those damn rolling hills) until about mile 6, then my left calf started to cramp something fierce, an ailment that never went away. By mile 11, my left hamstring cramped followed close behind by my right calf and right hamstring. Tighter and tighter they clenched. Slower and slower I went. I had dreams a of PR (sub 2:50) but the hills and my cramps were not cooperating. I hit the half at 1:24:20ish and I knew by then I could not hold that pace. Sub 3 became my new goal. I still had dreams of beating Brian, though. You see, Brian is 48 years old and had beaten me every head-to-head race we have ever had at any distance, 4 of which have been marathons. It seems every time I race against him something goes wrong. Knees, sick, bad training, cramps, whatever. I bow to his excellence and my ineptitude. He finished 9th overall (out of 1409) as he passed me at mile 19. He looked strong and finished just under 2:55, which for him is a very good time, especially considering the course. Breaking 3 hours was tough, as I want to start taking walk break after about mile 18, but never did. I finished 22nd, but at least 10 people passed me those last 3 miles or so. I tried so hard just to keep moving, concentrating on a sub 3 time. With only 90 seconds to spare, I was cutting it a little close. Brian ran a 2:54, the two male cross country runners ran 3:18 and 3:24 and the two women both ran 4:09. A friend/former relative of Brian’s who also came along ran a 3:44 in his first ever marathon. That meant of the 7 of us running, 5 were marathon virgins. We were the full range of soreness afterwards, some just fine, some looking like they were 90 years old with bad joints and everything in between. This race ends my 2009 racing season, which was quite strong. 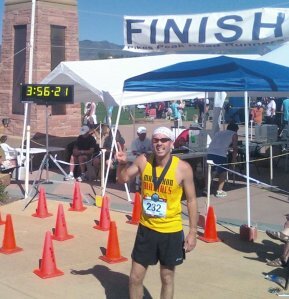 I completed 7 marathons in the last 13 weeks, with 4 of them under 3:00. That might explain why I am so darn tired after this one. 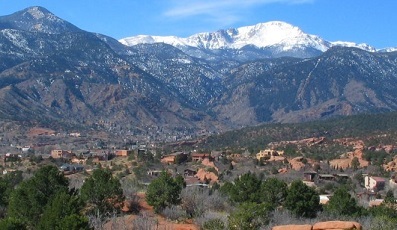 I do not race another marathon until Feb and that is a ‘vacation’ marathon, being in Sedona, AZ. I might even run with my camera that day and shoot pictures, who knows. So I woke up in downtown Atlanta at 5:45am, slowly got packed up, took a shower and waited until 6:30, because I wanted my free breakfast. I was soaking this business class upgrade for all it was worth. One of the many things I learned after my last double was that I need to eat lots and lots in between races, to recover from race #1 and prep for race #2. That was my mission in this one day in between races, eat. So I did. I love running. I finally took off at 7am on my long 7+ hour drive PAST my next stop all the way to New Orleans. The race was near Gulfport, MS but that is just over 1 hour away from the Big Easy. I was in the area and had the time so I decided I might as well take in the French Quarter because that is what you do when you are in the area. I am a ’speed’ tourist, meaning that when I am by myself I can soak up a lot very quickly. 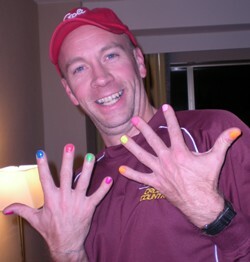 I submit my Las Vegas Marathon trip as evidence. I was in the French Quarter for just under 3 hours and thought I had a great and fulfilling time. It was incredibly crowded (which I am not a fan of) but seemed very ’safe’. Street performers, bars, gift shops, a classic ‘tourist trap’. 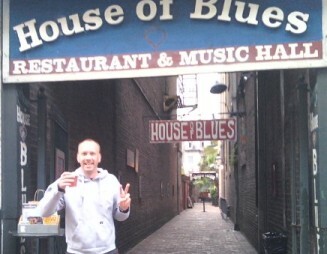 I got my postcards, hit a national park, the Hard Rock Cafe, and the House of Blues (complete with my allowed ‘open intoxicant’. Yes, that is a beer I am holding on the street outside the bar). I even stopped by Harrah’s Casino to get memento chips and decks of high quality cards. After a 3 min wait to get my number, shirt and some safety pins, I went to my hotel 30 min away (Who is my travel agent anyways? Oh yeah. I am) checked in and walked 100 meters to dinner. On ‘double’ weekends, I don’t eat Applebee’s twice I just can’t do that, so this time I waited until the second marathon. Standard entree for dinner and then back to the hotel and in bed at 8 pm for the 4th night in a row. A 5:10 wake up and standard PB sandwich for breakfast. No tea, and since this was a Motel 6, no coffee. A 24 hour McD’s just down the road got me a mocha. Note to self: Race morning my body is fine with coffee or a mocha. 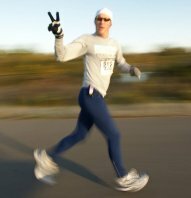 The race was held on the Stennis Space Center, so it being a government facility, it took a little while to get through the security gate. It was a little crowded, there being a full, a half and a 5K all with the same starting time. The temp at race start was about 48 degrees with no wind and overcast skies. Absolutely PERFECT race conditions. The race time clock at mile 1 said 6:10, a pace that I knew was a little fast, ok a lot fast. 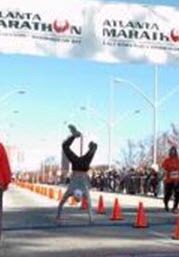 I had decided to run this race ‘hard’ since I knew I took Atlanta a little easy. I wanted to see what my body could do. I spend all day Friday eating to replenish the tanks and I was ready to go. My legs were only a little sore so I thought I could hold a good clip. Mile 2 came and I decided I did not want to look at my watch until mile 5. I know my running enough to know that whatever pace I am running after mile 5, I can hold until mile 18 with little trouble. I have trained myself enough that my body ‘gets in gear’ (whatever it is that day) and can hold it between 5 and 18 pretty much every race. Well, mile 5 came and I didn’t want to know. I felt good and strong, and I didn’t want my time getting into my head, so to speak, so I didn’t look. I did touch the lap button at the half marathon mark (without looking, later I found out my half split was 1:24:12) again just trying to stay strong. I never really got tired per se. My body never outwardly rebelling. Well into the race, still no real leg pain. My shins gave me a little grief and my knees a little pain, leg muscles a little sore, but otherwise I felt pretty damn good. The pains I had were all small and understandable. 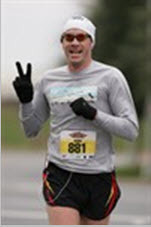 The half marathon ‘end’ came up and I figured out I was in 2nd place for the marathon. For the record, if I wanted to just run the half, I would have finished second in that race. I finally looked at my watch at mile 20 for two reasons. I wanted to know if I had a chance at a marathon PR (2:49:59), and because I knew I had a small lead on the third place guy and a 2+ mile lead on the 4th place guy. I knew I would probably get passed (and I did at about mile 23). 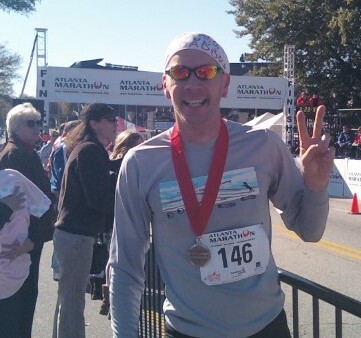 When I looked at my watch at mile 20, I was running a 6:31/mile pace which is about a 2:51/race pace. I decided to pick it up for a half mile to see if I could drop it to shoot for a PR. I did what I thought was a pick-up and looked down at my watch as saw that my pace was now 6:32/mile. So what that means was that I was doing under 6:30 most of the race and started to fail now that I was more than halfway into my second marathon of the weekend. Knowing that a PR was now out the question, I just wanted to make darn sure I broke 3 hours. Looking at my watch might have been my death knell as I started looking at constantly and of course, slowed down as a result. 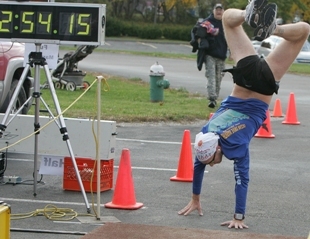 I am seriously considering not wearing a watch at all at my next race, and going completely on feel. I crossed the finish line and still felt pretty darn good. I was way better than after my last double when I felt like I was going to die and Misty thought I had a stroke or something. Post race food included yummy jambalaya and cold Michelob Ultra. I rested for a little while before I headed over to the recreation facility (remember, this is a NASA center) to take a shower before heading back for the awards ceremony since I had the time to burn. This was a small marathon with only ~100 runners, so lots of people got awards. I am way more proud of my 2:55 finish than the 3rd place. An easy 2+ hour drive got me back to Pensacola airport with 2 hours to drop off the car, get my boarding pass and eat some more. A late flight and 2 hour layover in Atlanta meant I landed back in Detroit at 12:10 am Sunday morning. I didn’t get home until 1:45 am. Having awoken at between 4-5:30 the previous 4 days, it took some convincing of my body to go to sleep. I woke up at 8am, actually well rested considering how long my trip was. So this marathon trip started (sortof) the day before coming up from Albuquerque. I slept/rested in the passenger seat with my thigh high compression socks keeping me happy. The drive was pleasant, again seeing vast open spaces of nothing, but honestly I find that incredibly peaceful. Something about land untouched by human hands. I do miss the open-ness of Wyoming when I lived there for three years, honestly. With race start at 6:30, that meant a 4 am wakeup. More tea, another peanut butter sandwich, shower and Misty and I headed off to the finish line where I got on my bus to the start line at about 5:10. The drive took a while because the race was a straight (ish) 26 mile race south from Palmer Lake Park into Colorado Springs. In the 40ish minutes before race start, I saw two people of significance. The first was the young woman I tutored in Chemistry on my flight back from my Missoula marathon. I knew she was going to be running this day, but never expected to actually find her in the large crowd pre-race. That was pretty cool, actually. 5 minutes before the start I also ran into the Junkie himself, Chuck Engle. We have become friends and this was the 5th (I think) time I have raced with him. Turns out he crashed hard today running a 3:14, which normally I could have done had I not ran a 3:08 marathon the day before. Yes, I could have beat the Junkie. That would have been awesome. Race start and I was off, my legs actually feeling pretty good. The course is a net 1200’ drop in elevation, but not constant. A few small uphills and lots of flat gave the legs good variety. I was doing great, put the first 15 miles away FASTER that the first 15 miles the previous day. Yes, I was actually running faster in the second marathon of the weekend. The course was beautiful, the sun coming up and lighting up the mountains to my right. No clouds at all, perfect. Then mile 17 came and the monkey jumped on my back. My legs were fine, my lungs were fine, I just got tired. Every part of my body just finally gave up at once. I had hit the well-known marathon ‘wall’, and started having to take short walk breaks (300m or so each) every mile or so. I had just not replenished my glycogen stores from the previous day. I focused so hard at finishing. I kept reminding myself how many miles I had already ran this weekend and how few I had left to go. People were passing me left and right, but I didn’t let it get to me. Survival and crossing the finish line was all that was important. By the time I crossed the finish line I was toast. Ten minutes after the race, my heart rate was still over 125. Misty kept a very close eye on me as I was not in a good place for a while. It took me a full 20 minutes to recover and until I felt somewhat normal. Pizza, soda, oranges, Gatorade and some beer all helped. After a 90 min drive up to Denver we stopped for a nice steak lunch before we headed to the airport to check in and get on our plane. During lunch I found myself questioning my long term running goals. I still struggle with the ‘what am I going to do when I get all 50 states done’ question. We were cutting it a little close in terms of timing, getting to the gate just as they started to board our section, but it all worked out. After an unexciting 2+ hour flight and 1 hour drive home, I arrived back at my house, roughly 84 hours after I had left it for this trip. I managed to knock off a total of 30 minutes off my two-consecutive-marathon-cumulative-time record. The next day I felt surprisingly well. It really only hurt when I walked down stairs. Two days later I was doing a gentle 6 miler with little pain. I had recovered quickly from a heck of a weekend. These ‘doubles’ are great for knocking off states two at a time, but they take a toll. 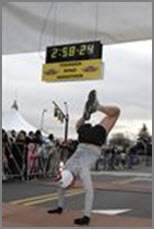 I will do this at least once more, maybe twice as I get closer and closer to my 50 states finish. Fingers crossed.